Moscow, September 30, Interfax - Building of a Russian church dedicated to the Nativity of the Holy Virgin has started in Munich. Rector of the Resurrection parish of Dachau and Munich Archpriest Nikolay Zabelich has conducted a prayer service for blessing every good undertaking, communication service of the Synodal Department for External Church Relations reports. 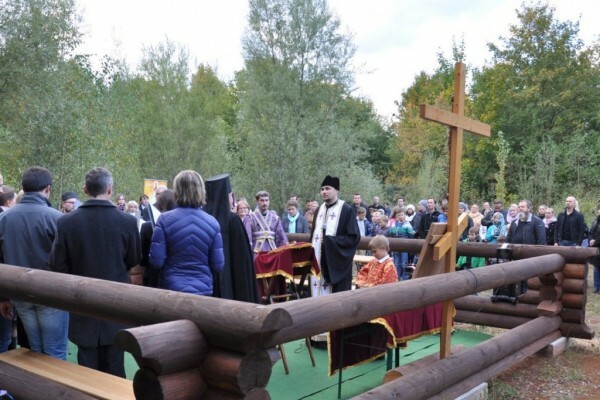 Local residents, Orthodox believers from various districts of Bavaria, guests from the Catholic Church and the Evangelical Church attended the service. The city commission, which issued a permission for building, considered the project unique and listed the future church among most important architectural constructions in Munich. The church occupies 361 sq.m. There will also be a parochial house with a spacious hall for 150 people and a kindergarten for 36 children.